BOSTON — NOVEMBER 7, 2018 — More than 400 information security professionals, representing 150 companies from across the private and public sector, joined Recorded Future for its annual industry event to unite on one core mission: drive the adoption and usability of threat intelligence across the information security ecosystem. At the conference, which was held in Washington, D.C. from October 22 to 24, 2018, industry leaders presented on topics including building an effective threat intelligence team, intelligence-driven threat hunting, and leveraging threat intelligence for vulnerability management, across 20 breakout sessions. At the event, Recorded Future also showcased its rapidly growing partner ecosystem, with more than 20 technology and VAR partners in attendance, including IBM Resilient, Palo Alto Networks, and LogRhythm. Recorded Future Connect, the company’s technology partner program, has more than doubled in the six months since its launch, adding 30 new partners. Recorded Future Connect has also added several partners in a key strategic area for its users: security orchestration automation and response (SOAR). 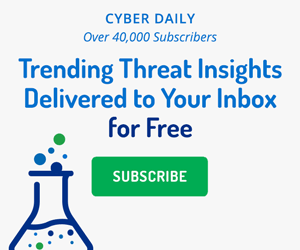 The addition of leading SOAR partners — including ATAR Labs, CyberSPONSE, Demisto, DFLabs, and Swimlane — will allow Recorded Future to enhance the impact of delivered threat intelligence, further shrinking the window of opportunity for attackers to perpetrate networks and reducing organizational risk. Since its launch, Recorded Future Connect has expanded from 13 to 40 technology partners, including King & Union, Polarity, Securonix, Exabeam, TruSTAR, Dragos, and Firemon. At this year’s conference, Recorded Future launched the Top Threat Intelligence Professionals Awards, naming both individual and team winners; more than 50 nominations were submitted. Runner-up for individual contributor of the year was Jodie Ryan, senior manager of threat intelligence at T-Mobile. Submissions nominating Jodie highlighted her ability to adapt government intelligence techniques to the commercial world with great enthusiasm and success. Runner-up for team of the year was Calder 7, Relativity’s security team. Submissions that nominated Calder 7 showcased the team’s strategic vision and uniquely holistic approach for applying threat intelligence across the organization, including the company’s product and beyond. Calder 7 is also always willing to give back to the cybersecurity community and share successful methodologies of how to stay ahead of the adversaries. In an IDC White Paper sponsored by Recorded Future, “Organizations React to Security Threats More Efficiently and Cost Effectively with Recorded Future,” IDC concluded that Recorded Future enabled security teams to identify threats to their organizations 10 times faster, while helping to resolve security incidents 63 percent faster when they do occur. Today, it would take nearly 9,000 analysts, working eight hours a day, five days a week, for 52 weeks per year, to process the same amount of security event data that Recorded Future’s machine analytics can process in the same time frame. You can request a demo at https://go.recordedfuture.com/demo.